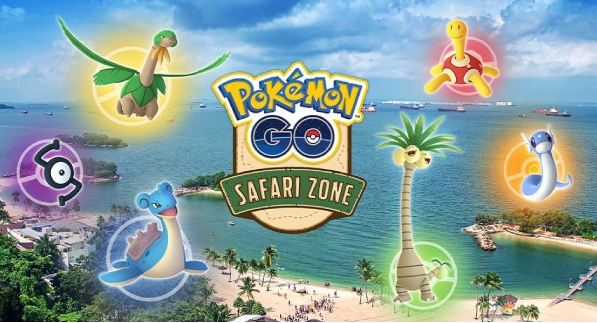 The monster catching game Pokemon Go is going to have its first Safari Zone in South-East Asia at Sentosa, in Singapore. The Pokemon Company and game developer Niantic, Sentosa will be launching the first-ever augmented reality game on April 18 to 22. This is free for all players who wants to participate in the event but you do need a ticket. Players will need to register on safarizone website between 9am March, to 11:59PM, March 7, this is only for one time registration. Ticket holders will encounter rare Pokemon such as the Grass and Flying type Pokemon Tropius roaming around the island of Sentosa. The event is expected to attract trainers from all over the world based on the previous Safari Day events that have been taken place like Porto Alegre, Brazil; Tainan, Taiwan and Yokosuka, Japan. The island stretch of Senosa Boardwalk to Tanjong Beach is going to be a hunting ground for thousands of trianers trying to catch on exclusive Pokemon. Those who don't manage to register can still play Pokemon Go in Sentosa, though they won't get the perks of the special Pokemon like a real monster.